I know I’m superstitious and love believing in ‘signs’ when they suit, but sometimes the universe really DOES seem to be sending a message you can’t ignore. Just last month, a wise woman in New Orleans told me I needed to reboot certain creative aspects in my life. I couldn’t agree more. The writing, painting and music passions have dwindled away in the past year as life’s problems and repetitive domesticity eat into the hours that could have been spent at the piano or easel. Then two weeks ago another wise counsellor told me to look for ‘inspiration’ and to do what truly makes me happy when being creative. AND to truly drive the message home, I turned up at a cocktail function last Thursday night where I won a prize. This wasn’t just any old prize like a meat tray at a school fete – but a seriously beautiful piece of art. Fletch and I had been invited to a glamorous cocktail party at the SOFITEL Hotel, celebrating the upcoming DIOR Exhibition at the National Gallery of Victoria – DIOR – 70 Years of Haute Couture. The hotel’s talented sommeliers designed cocktails inspired by Dior’s most famous creations. 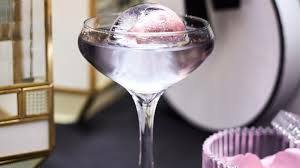 This one in particular, cradling a frozen ball in rosewater in Creme de Violette and Grey Goose Le Citron, was a work of art in itself. But what really caught my eye was a young woman, painting a fashion illustration in the corner. 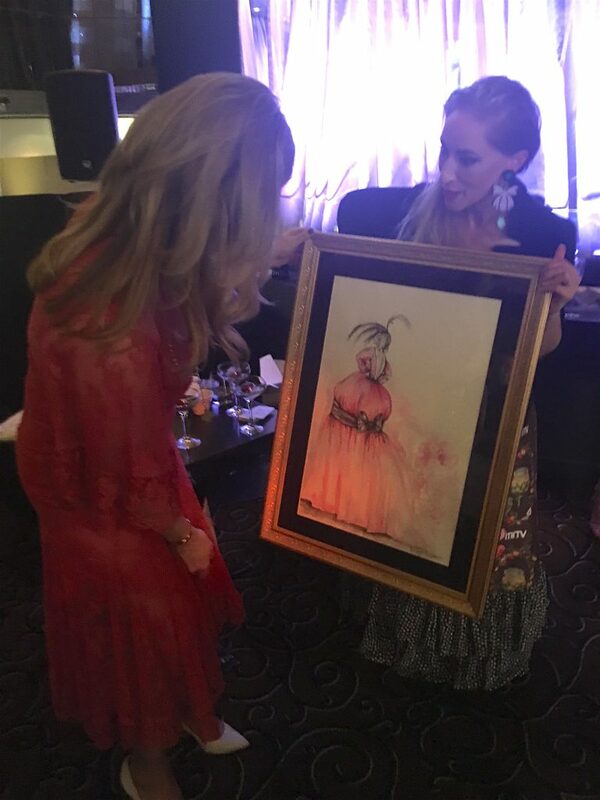 Estelle had been enlisted to produce a work inspired by a famous Dior gown, that would be won by a lucky guest at the party. 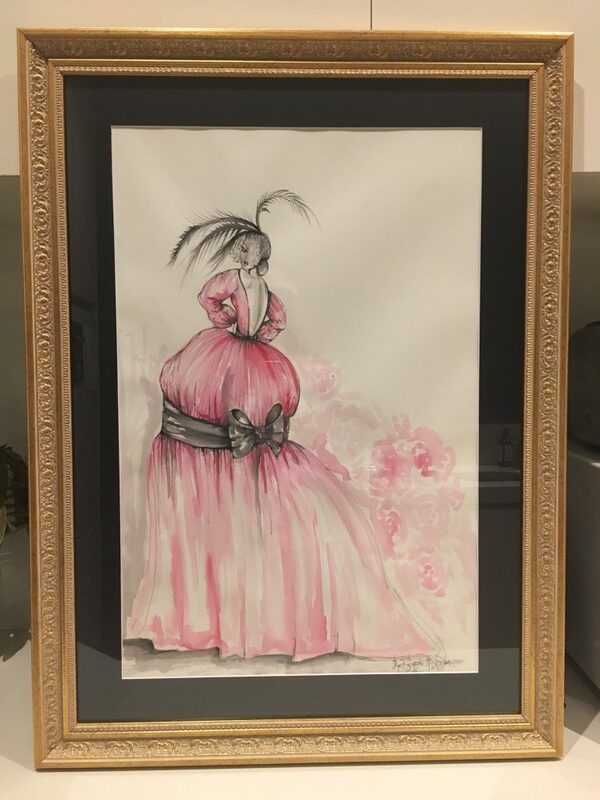 Her hands worked quickly and confidently, bringing the garment to life with a sweep of the brush, transforming fashion into art and creating a work of beauty. Turns out it was my lucky night. My name was announced as the winner and I couldn’t have been more delighted. Here’s a closer view so you can appreciate the finer detail. And now it is time to pick up a paintbrush myself. Thanks Estelle for the inspiration.